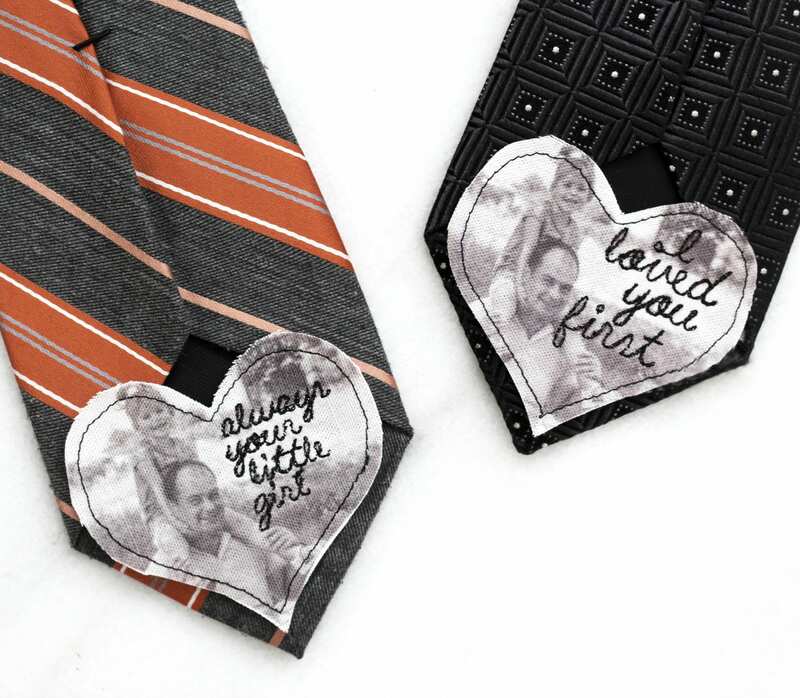 This tie patch is completely custom and sure to make your dad shed a tear or two! We will print any photo you send us onto a patch and then add embroidery. To attach to a tie just peel the paper off the back and iron on to any tie. 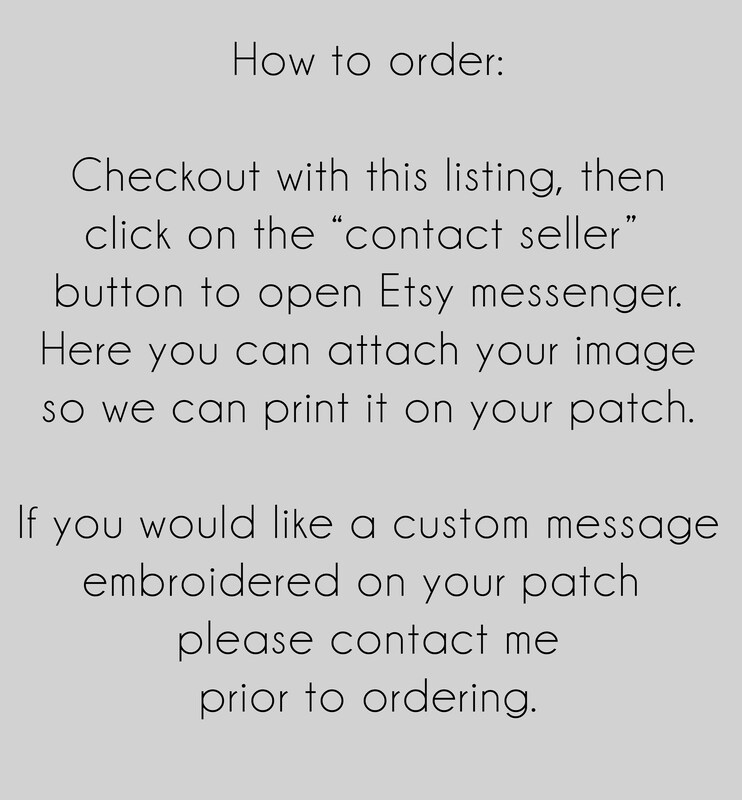 We can customize the message but words are limited due to the size of the patch, please contact me prior to ordering for custom requests. 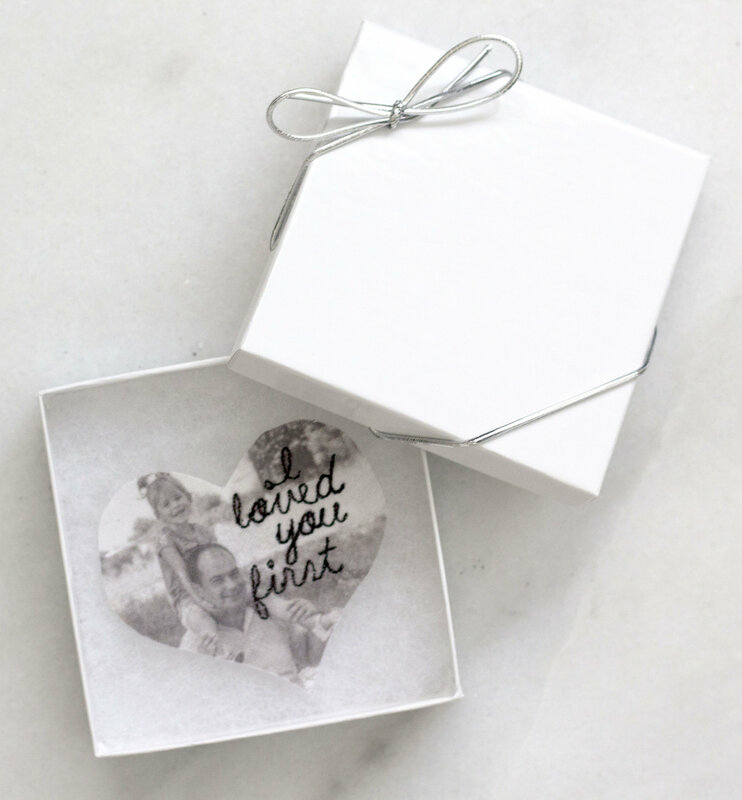 This the perfect gift for the father of the bride or the father of the groom.